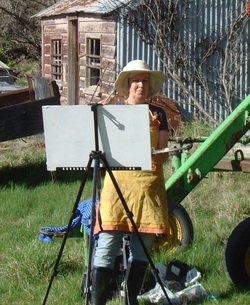 I hold regular solo exhibitions, as well as exhibiting with Watercolour NZ and The Suter Art Society . My work is held in private collections both in New Zealand and overseas.I am happy to discuss commissions if you have a favourite subject you would like painted. Other paintings are available through my website www.janthomson.co.nz.